Hot off this morning’s news that Pulp Fiction co-writer Roger Avary is in talks to direct the John Cusack-fronted thriller Airspace, Panorama Media and Samuel Hadida announced today that Avary will write and direct an adaptation of the video game franchise Castle Wolfenstein. The pic is described as an action-adventure film in the vein of Captain America and Inglourious Basterds (two very different movies) that centers on a top secret mission to Castle Wolfenstein where Hitler is set to unveil a new secret weapon. During their mission, a young US Army Captain and a British Special Agent are confronted with Himmler’s SS Paranormal Division. The first Castle Wolfenstein game was launched in 1981 and has evolved considerably over the years, so it’ll be interesting to see what they incorporate into the film. Hit the jump to read the full press release. 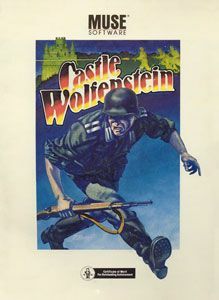 SANTA MONICA, CA, NOVEMBER 1, 2012 – Panorama Media and Samuel Hadida announced today the production of CASTLE WOLFENSTEIN. The action-adventure film, inspired by the iconic game franchise, is written and will be directed by Academy Award® winner Roger Avary. Hadida will produce through his Davis Films Productions, and global sales will be handled by Panorama’s Marc Butan and Kimberly Fox. Talks with U.S. distributors are underway. CASTLE WOLFENSTEIN is an action adventure film in the vein of CAPTAIN AMERICA and INGLORIOUS BASTERDS. The story follows a young US Army Captain and a British Special Agent on a top secret mission to Castle Wolfenstein, where Hitler will be for the unveiling of a new secret weapon. After reaching the Castle, our heroes are confronted with Himmler’s SS Paranormal Division and must fight, not only for their survival, but for a mission that could alter the course of the War. Panorama is licensing distribution rights at the current American Film Market now underway in Santa Monica.